Tomorrow I (actually, www.zigzagprinciple.com and I) are having a little site-warming party, in the form of a Twitter chat. 1entrepreneur, 33 businesses, 11 multimillion-dollar successes, 11 ugly failures, 90 minutes to ask anything your little heart desires. Please join the party. June 1st, 7:00 pm to 8:30 pm MST (9pm EST/6 PST) use hashtag #businesshowto to ask questions and get involved in the fun and learning. I’m opening up the discussion to anyone interesting in the how-to’s of business. Of course we’ll be talking buy viagra in playa del carmen 214. a lot about the Zig Zag Principle too—since you can’t talk about one without the other. Also follow me on order zyprexa, order zyprexa, order zyprexa, order zyprexa, order zyprexa, order zyprexa, order zyprexa, order zyprexa. Facebook for more insights on starting a business, Zig Zag Principle, and other topics I’m passionate about. 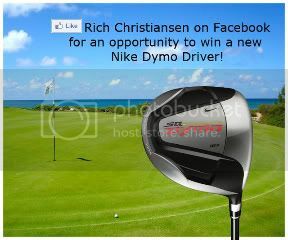 “Like” me on Facebook for a chance to win a Nike Driver! I have a friend and business associate who usually introduces me as a nerd—he assures me it’s a good thing. Last week I sat on a panel and was not called a nerd. Instead, this associate said, “I am pimping out Rich.” (Hum, is that a better intro?) He went on to say that although I’m passionate about sharing the Zig Zag Principle with everyone, I am indeed an SEO expert (Search Engine Optimization) with valuable insights to share. It’s true. I have used SEO as a power hammer in various businesses. I want to emphasize it is one of the tools I use, but it is not the only tool. So with that introduction, I want to outline the three major components of SEO done right. I call it the three legs of the SEO stool. The first leg is content—rich, relevant, fresh, new content. If you are using old, cruddy content…forget it. Game over. You can’t even start to compete with weak content. The second leg of the stool is structure. Structure means ensuring the meta data: the meta tags and meta titles are specifically tuned and accurate. Meta data consists entirely of controllable elements. Although there are approximately 50 variables that go into meta data, the good news is that there are only a few things to look at. - The structure of your website has to be aligned with the keywords you are targeting. - The keywords also have to align with all of the meta data (including the meta title, meta description, header 1, all text tags, etc.). Meta data is technical stuff. However, if you don’t understand it, you can get pretty much any SEO guy to help you implement and get that structure right. You’ll easily learn the meta data rules. And that’s the second order metronidazole 200mg online canada. sturdy leg. The third leg of the SEO stool is the hardest, but only because of the time involved. This leg consists of the links to your site. Search Engine Optimization works similarly to how we as humans operate. The more people (sites) you have pointing to you and saying “That is a smart person on such and such topic.” the more authority cialis coupon walmart, cialis coupon walmart, cialis coupon walmart, cialis coupon walmart, cialis coupon walmart, cialis coupon walmart, cialis coupon walmart, cialis coupon walmart. you (and your site) have. Of course sites with more authority rank higher. So the goal is to get other people with authority linking to your site. That gives you rank. And that helps you get to the top of the search engines. Although there is a lot of hard work involved, SEO success really is based on this three-legged stool. Pay attention to those three aspects then you’ll find success. Feel free to follow me on Facebook and Twitter (@richchristianse) for more insights on SEO, Zig Zag Principle, and other topics I’m passionate about. Before you can begin to zig and zag, there are certain foundational elements that you must build upon in order to succeed, as well as some critical tools you will need. This book is organized around the following tried and true principles that will help you make your way to the top of any peak you decide to summit. over the counter cytotec, over the counter cytotec, over the counter cytotec, over the counter cytotec, over the counter cytotec, over the counter cytotec, over the counter cytotec, over the counter cytotec. In chapter 7, we’ll discuss how important it is to establish your own personal guardrails so you don’t find yourself driving off a cliff as you fly down the road. I’ll share mine, and encourage you to find yours. Chapter 8 introduces the concept of reward systems. Zigzagging is hard work. And now and then you need to pause and reward yourself, your associates, and those family members and friends who are supporting you. This book is a step-by-step, tactical book. It is not a theory or a vague concept. You will get practical application tips you can use to succeed, not just in business but also in your life. In addition, you will be provided with a suite of resources and tools that you can use on-line and off-line to assist and use in your progression. In my years in business—whether working for someone or pursuing my own dreams—I have had several multi-million dollar failures, in addition to several multi-million dollar successes. Many of the failures were of my own doing; and, thankfully, enough of them were not. I can honestly say that in most instances, I failed because I tried to go straight for my goal and then ran out of gas before I hit profitability. The Zig Zag Principle is not easy. It requires discipline, hard work, tenacity, and focus. It is not a lazy man’s game. And it is what will help you achieve the successes you seek. For me, it has been interesting to see that before I defined the steps of the Zig Zag Principle, my business model was that I would succeed one out of three times. In fact, I would create three businesses, consciously telling myself, “Okay, of these three, one is going to fail, one is going to be mediocre, and one is going to turn into a multi-million dollar business.” I figured I was batting about .333 with a series of strikeouts, easily caught pop-ups to left field, and hits that scored. Frankly, having played some baseball, I was feeling pretty good about my average. But, in looking back, I’ve realized I was zig zagging, just without any real structure or discipline. Ever since my moment of clarity, I have been consciously applying the formal structure of the Zig Zag Principle, and my success rate has dramatically increased. My partners and I have now had four out of five successes—an average I’ll take any day. As I’ve considered this revelation, I’ve come to realize that the Zig Zag Principle has its roots in the thyroxine no prescription, thyroxine no prescription, thyroxine no prescription, thyroxine no prescription, thyroxine no prescription, thyroxine no prescription, thyroxine no prescription, thyroxine no prescription. laws of nature, with evidences everywhere we look. Rivers don’t flow in a straight line from mountain springs to the ocean. They twist and turn as they adapt to the things that would impede their flow. Mountain peaks are formed by the violent acts of nature, which leave no straight shots to the top. So much of the beauty we see in nature is the result of its forces carving out paths that must wend their way around never-ending obstacles. My family and I are avid hikers and love to climb mountains. We’ve scaled summits in the Rocky Mountains and in the Himalayas. In all our years of climbing, we’ve never been able to actually climb straight toward the peak. Instead, just as my son learned as he skied down the mountain, we’ve had to hike the switchbacks in order to reach the top of the mountain. In the process, we have found ourselves going around large canyons and cliffs, often hiking in directions opposite to the summit. We have also found, while hiking in the Himalayas, that it is important not to gain altitude too quickly. Those who do often succumb to high-altitude sickness and even death. Although it seems counterintuitive, much of the time you actually have to lose altitude and hike away from your goal in order to stay healthy, gain strength, and gain the altitude needed to get to your destination. As I have become more seasoned in both business and life, the lessons baclofen leczenie. of the Zig Zag Principle have finally begun to sink in. Life and business are complex and often messy, and there are always going to be bumps, dips, twists, turns, and detours along the routes we choose to pursue. It is unrealistic to think you can just charge directly at a goal without injuring yourself or others. Adjustments and course directions are required. I have an associate who has been extremely successful at racing directly toward his financial goals. He is charismatic, focused, business savvy, and driven. At the point I became acquainted with this man, he was well respected, a pleasure to be around, and an integral part of the community. Soon after, though, he became obsessed with becoming wealthy. In fact, he openly proclaimed that he would achieve his financial goal at any cost. In his pursuit to do so, there were marked changes in his demeanor and in his approach to life. Within five years he had accomplished his goal of becoming the wealthiest individual in our community. But at what expense? His relationships with his spouse, children, and trusted associates totally vanished. He lost the love and respect of nearly everyone around him. Now, when his name is spoken in public, people recoil. Why? Because he ran roughshod over anyone and anything that attempted to divert him from his goal. Did he achieve success? Yes (at least for a time). Was his financial success worth barreling down the mountain with wild abandon? No! The end victory proved hollow and meaningless as he left behind the important things of life that he could and should have enjoyed. I would contend that he could have been successful in all aspects of his life had he traversed his way down the mountain instead. The more effective and rewarding way of achieving long-term goals is to zig zag toward them. It is hard work in both hiking and in business, but the vistas and rewards are, without question, worth it. Today is the one-year anniversary of one of the biggest scares I’ve experienced, and the day I learned how vital it is to have a bailout plan. My family was traveling and we had an all-day layover in Hong Kong. These long hours ended up being some of the most harrowing in my life to date. As we arrived in Hong Kong we spent a forzest tablets for sale in europe, forzest tablets for sale in europe, forzest tablets for sale in europe, forzest tablets for sale in europe, forzest tablets for sale in europe, forzest tablets for sale in europe, forzest tablets for sale in europe, forzest tablets for sale in europe. delightful time together in the city. Next we decided to take the ferry to Kowloon—the famous, and very crowded, shopping district. Like most visitors we wanted to see the Kowloon Ladies Market, so off we went. We loaded my beautiful wife and two of our boys into the cab and sent them on their way. I turned to climb into the next cab and was dismayed to discover that not only was I not in line anymore, but the line had grown. I nervously looked down the street as the first cab sped away. Well…my other two sons and I did eventually get into a taxi, but by this time it was clear that we’d lost my wife and sons. When we arrived at the market there were ten bazillion people running every-which way—and that was just at the drop-off point. It appeared nearly impossible to find them. We spent the next three or four hours in a heartsick panic, attempting to find my wife and my boys. The thing that made me ultimately sick was that I had all the passports and all the z pack without a prescription. money. Furthermore we had made no contingency plan should we get separated. After almost five hours, I contacted the Hong Kong Police. Every vision of tragedy was running through my mind, and I realized that there was no way we were going to find my precious family in Kowloon. I submit it is easily the busiest place on earth. There were literally hundreds of thousands of people bustling around, shoulder to shoulder. In absolute dismay and grief I realized that the only option I really had was to go back to the airport and hope. At the airport I called the U.S. Embassy, I called security, I checked email, I did everything I could possibly think of to find my family, with no success. At this point my two sons and I were literally in tears and out of options. So we sat there in a panicked state and waited. About an hour and a half before our plane was scheduled to depart, in walked my wife and our boys. They had walked a mile or two, boarded a bus, and using American currency, somehow managed to pay, and find their way back to the airport safely. We had a warm embrace and continued on our journey–a little worse for wear–but none the less, very grateful for each other. At a moment like that, you define what is most important. Now when we travel internationally we always make sure that we have a common rescue plan. We always make sure that we spread our resources wisely. This lesson can easily be applied to other areas of life and business. Today, one year after this scary experience, I’m recalling the importance of having a bailout plan. This realization finally came to me several years ago as a business partner, Ron Porter, and I were writing a book titled Bootstrap Business: A Step-by-Step Business Survival Guide. As we wrote this book, we decided to start a business in order to test, prove, and illustrate for our readers the principles we were writing about. As I had done with several other successful startups, we each anteed up $2,500 for a staggering total of $5,000 in capital. That was it. We could have brought more money to the table, but we were out to prove that we could bootstrap a business with limited financial capital and turn it into at least a million-dollar asset. With no idea of what this business was going to be, but with our working capital in place, the first thing that we did was assess our resources. We had $5,000 in cash, several contacts in New York, some solid business and technology experience, and combined expertise in web development. We then ran what we called the “Porter Model” on various possibilities we had identified, ultimately deciding to create an online entrepreneurs’ social network. We started down our chosen path by developing and then revising the website, www.bootstrapbusiness.org. But we very quickly realized that it would take a lot more money than $5,000 to reach our goal. So we immediately detoured and accepted some search engine optimization (SEO) consulting engagements with several large east coast corporations. Why? We had to chase cash. mexico buy no precrition vigar, mexico buy no precrition vigar, mexico buy no precrition vigar, mexico buy no precrition vigar, mexico buy no precrition vigar, mexico buy no precrition vigar, mexico buy no precrition vigar, mexico buy no precrition vigar. cialis reliable supplier. As soon as we were turning a profit with our consulting, we veered in the other direction by hiring software engineers to do contract labor for several of our new clients. In doing so, we were adding resources to our business. And, serendipitously, we now had at our disposal developers who could work on our original website as well. We then made another course change and started doing web link building. This is how we were able to start scaling our business as we created several supportive viral websites. Before we went to press with Bootstrap Business, we were able to claim victory with the company we had named CastleWave. This little test case that we started with $5,000 cash ended up being profitable every single month. It grew to become a multi-million dollar business, it won many awards in the community, and we sold it to a publicly traded company. Midway through the development of CastleWave, Ron and I were sitting at our whiteboard, plotting the paths we were taking toward our target. Originally, in keeping with the mindset I came out of business school with, we had outlined our starting point and our end goal. It was essentially a straight line. Somewhere along that line, however, we realized we needed a million to a million and a half dollars to hit our goal. Seeing that our original course was just not possible, we started drawing a sequential series of steps that needed to occur. As we stepped back, we realized there was a big “Z” on the board. More specifically, there were three distinct targets we needed to hit in order to meet our first series of goals. First, we had to get to cash. Second, we had to add resources. And, third, we needed to scale our business. Each of these steps required an entirely different mindset from the step before. Even after having been subjected to Vish’s scolding years before, this was my moment of full clarity, as I realized that—just like skiing down a ski slope—getting to our goals requires a deliberate set of zigzags. This was the moment when the ZigZag Principle was formally defined. While working in corporate America after graduating from business school, I experienced some significant successes (Vish’s periodic rants notwithstanding). And, since striking out on my own, I have founded or co-founded thirty-two businesses. Of these ventures, eleven have been ugly failures, eight have enjoyed moderate success, two are in progress, and eleven have become multi-million dollar wins. And yet, even after Vish’s object lesson, it took me a long time to be willing to pause at the bottom of the mountain, look back up to the top, and see the epiphany that had been eluding me. When I was finally willing to take the time to look back, I saw that my most significant accomplishments—whether working for someone else or for myself—did not come when I had charged directly toward my goal. Rather, they came when I had zigged and zagged my way to success. best price on pzier viagra, best price on pzier viagra, best price on pzier viagra, best price on pzier viagra, best price on pzier viagra, best price on pzier viagra, best price on pzier viagra, best price on pzier viagra. I realized that the diversions and detours I had often found so frustrating had actually created more stable and solid businesses and outcomes. On the other hand—and without exception—each time I raced directly at a target with high velocity I failed. When I graduated some twenty years ago with my MBA, my mindset was the exact opposite of what I shared with my son that day. I was certain the way to excel in business and in life was by sheer determination. I truly believed that my success would come by setting my sights on a goal and then going straight for it. With that as my strategy, I plowed toward my goals no matter what was in my way. In fact, I plowed through things that had no business being plowed through. I clearly remember the person who first challenged me on my approach. His name was Vish. Vish was always railing on me. He was a brutal boss, and he took every occasion to tell me what I was doing was wrong. He could drive me, a grown businessman, to tears. One day, Vish came into my office and said, “Rich, let me show you what your problem is!” (This was how many of my conversations with Vish started, but this time our exchange was eye-opening.) He walked over to my door and deliberately locked and then unlocked it. When it was unlocked, he swung it open and said, “This is a door that actually opens. You do not always have to try to bust the door down. All you have to do is unlock it and then turn the doorknob.” cheap viagra in bangkok, cheap viagra in bangkok, cheap viagra in bangkok, cheap viagra in bangkok, cheap viagra in bangkok, cheap viagra in bangkok, cheap viagra in bangkok, cheap viagra in bangkok. As I thought about what he was saying, I realized how many times I had chosen not to use the doorknob in my career and in other parts of my life. I just tried to plow through whatever door was between me and my goal—locked or unlocked. In so doing, I was living contrary to a law of nature. Nature did not intend for me to walk through closed doors anymore than it expected my son to point his skis straight downhill and go. I still can’t believe that an esteemed publisher like McGraw Hill is publishing my book! However, Saturday I officially pre-launched the book before a crowd of 200+ serious entrepreneurs, business owners, and colleagues who embraced the principle and even pre-ordered the book. (Check out the pictures and other highlights from the event on my Rich Christiansen Facebook page.) Now the whirlwind officially begins. I’m so excited about Zig Zag Principle, and I buy tetracycline in the uk, buy tetracycline in the uk, buy tetracycline in the uk, buy tetracycline in the uk, buy tetracycline in the uk, buy tetracycline in the uk, buy tetracycline in the uk, buy tetracycline in the uk. believe in this concept so strongly, that I want to share Zig Zag Principle with everyone. Today that’s most easily done via blog. So yes, I’m posting the book, in its entirety, on my blog. Every few days I’ll post a bit so you can read along and come to understand fundamentally what I’m passionate about. It starts today–read the intro of the book below. Zig Zag Principle is the best I have to offer. I hope you enjoy reading the book, as much as I delighted in writing it. In an attempt to calm his understandable fears, I explained that he didn’t need to head straight down the mountainside, that even an expert skiier would survey the drop and decide to zigzag down the steep slope. I instructed him not to look at the bottom of the run, but to focus on skiing to a point across the hill and, once there, to turn and ski back across the slope to another pre-selected point. As a concerned father, I knew my son’s chances of getting to the bottom without breaking his leg or neck were far greater with this approach than if he just barreled straight down the mountain. No question, it took us a while to make our way down, but as he stood at the bottom of the run and looked back up to where he started, he realized the full import of what he had accomplished—and the lesson he had learned. Let me introduce you to Tenzing Norbu Sherpa. He represents true joy in life. Tenzing hails from the mountains of Nepal, specifically from a tiny village called Khumjung at about 14,000 feet in elevation. The way Tenzing is living his life illustrates a perfect example of zigzagging. He grew up in the Himalayas, went to school in Kathmandu, and has set some crazy-big goals in life. I want everyone to know how proud I am of Tenzing for the hard work he’s putting forth. This story is a beautiful example of determination. As most of you know my life’s passion right now is helping to educate young men and young women throughout the world. Take a moment to watch my interview with Tenzing. You’ll find inspiration by listening to one young man share his hopes, dreams, and goals for bettering the world. Know that he’s committed to these goals. He states each one with resolve. He’s focused on helping to change the world. I believe Tenzing will indeed make the world a better place. I encourage each of you to look for opportunities to support, help, and encourage the “Tenzings” of the world—the people who will have real, significant impact uk without prescriptio. . Watch this young man, he’s going to change the world! healthy man viagra xm radio, healthy man viagra xm radio, healthy man viagra xm radio, healthy man viagra xm radio, healthy man viagra xm radio, healthy man viagra xm radio, healthy man viagra xm radio, healthy man viagra xm radio. I’ve never been a fan of beating around the bush, and I don’t like multitasking. So let me say it like it is folks–multitasking is stupid and it doesn’t work! Perhaps that sounds a little more Napoleon Dynamite, and a little less, seasoned entrepreneur than you’d expect, right? But this was a hard lesson that was learned by a group of young men I affectionately refer to as the “Linker Boys”. I love mentoring this group of brilliant kids. Sometimes it’s a bit heartbreaking to watch them learn a hard lesson. But this time, I’m confident they will never forget that…multitasking is stupid and it doesn’t work. buy avodart in the uk with paypal. buy nolvadex from india, buy nolvadex from india, buy nolvadex from india, buy nolvadex from india, buy nolvadex from india, buy nolvadex from india, buy nolvadex from india, buy nolvadex from india. Last week I was asked to speak at a conference as one of the speakers. When we got there and throughout the entire day, something felt really awkward to me. The emotion went wild. It felt very awkward for me. You see, I believe in setting big goals—big hairy, crazy goals. But you know what? If we only do that, we lose the most important things in our life. We have to divert around obstacles, we can’t race directly toward our goals or else we lose the most important things and miss the ultimate goal anyway. comprare levitra con paypal, comprare levitra con paypal, comprare levitra con paypal, comprare levitra con paypal, comprare levitra con paypal, comprare levitra con paypal, comprare levitra con paypal, comprare levitra con paypal. Look at the scenario this speaker was talking about. If you have young children, for example, try not helping your spouse change the diapers. Don’t do any of the dishes. Ignore the finances in your business. Remember you don’t want to do these mundane tasks—you just want to chase that big crazy dream fucidin over the counter. . If you do this what will happen? The result will be that you are going to fail. Most of the time we just can’t afford not to do the mundane things. That is why so many small businesses fail. If you sprint directly to that big, ultimate goal then a lot of times you just end up failing. I am a dreamer. I am a believer. We all have to be dreamers and believers. We have to set those big hairy crazy goals. But I am here to tell you that we get to the destination most effectively when we zig zag to the goal. We add meaningful rewards for achievements. We work hard. We divert around the obstacles when we can. And yes, we sometimes do things we don’t want to do, including changing diapers and other seemingly mundane tasks. God’s plan for us is bigger than our plan. If we set the goal out there, the universe will indeed give us the opportunities. It will take hard work and it will often involve zig zagging and diverting to that goal. Go forward! Set the big goal and zig zag your way to success. Which of the following is not a critical attribute for success as an entrepreneur? You are currently browsing the BootstrapBusiness.org | How to Start A Small Business weblog archives for May, 2011. © Copyright 2019 BootStrap Business. All Rights reserved.